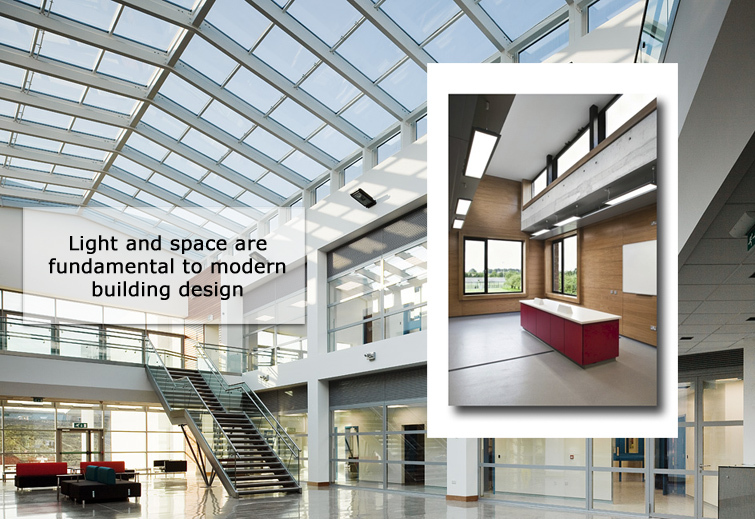 Glazing can greatly enhance and lift the working or living environment to provide a spacious feeling while complying with all specific building regulations. KCC Architectural provides full design, fabrication and installation of facades, windows, doors and screens through its partnership with Schüco Jansen and MHB. Furthermore, KCC Architectural were carefully selected by Sky-Frame, a Swiss manufacturer of an exquisite, so-called ‘frameless’ glazing system, to be the distribution partner for Ireland (North and South). Our team of trained specialists will meet with architects at the design stage of a project, provide solutions for the glazing requirements and prepare full technical specification documents. Products include fully insulated curtain wall systems, thermally broken windows, doors and screens, fire resistant and non-fire resistant systems.